With our whole immediate family is joining us for Thanksgiving, there is much to give thanks for this year. I'm all abuzz with preparations here, cleaning, cooking, shopping, and squeezing some yoga in with Tanner and Oliver--aka #doga. This practice was begun about this time last year, and has now grown to be a healthy part of my routine. Although my practice is still broken into short bursts each day, I'm finding it helps me in so many ways, not the least of which is my relationship with the dogs. Even Jacque, who spends time here on a regular basis, is beginning to join in occasionally, even if only to sniff the treat bag or check up on Tanner and Oliver's involvement. Pop quiz: Which Papillon in the photo below is Jacque? Guess with your comments. Where's Mom? 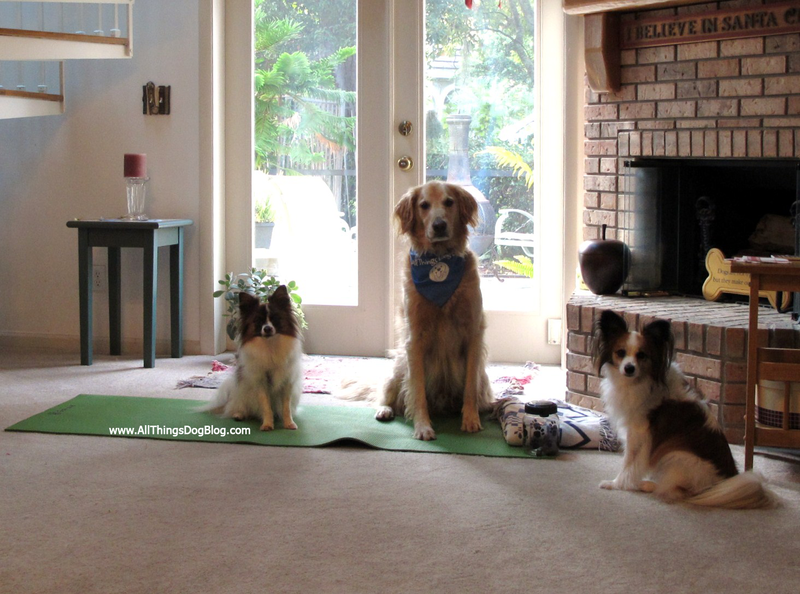 It's Time for Doga Practice.